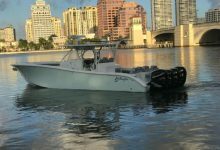 Has never been fished since new.Two owner with only 330 hours.Bow thrusterr. 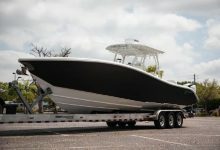 Services up to date and ready for immediate delivery. 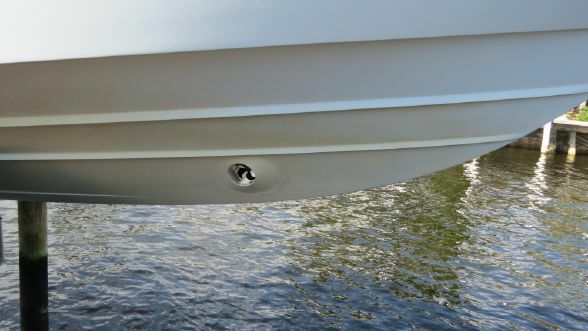 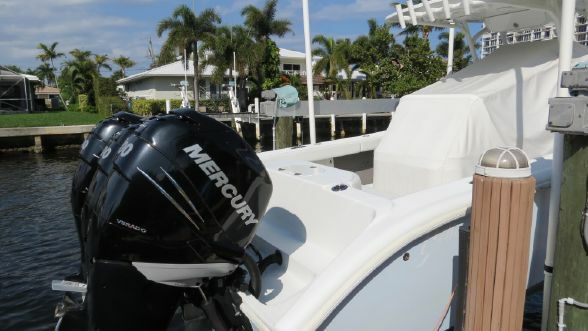 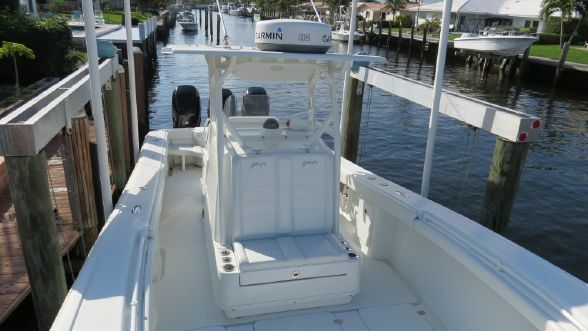 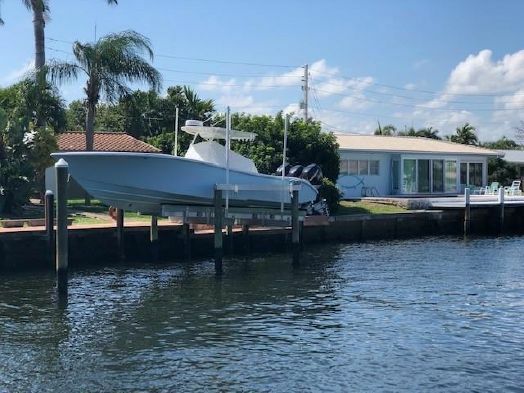 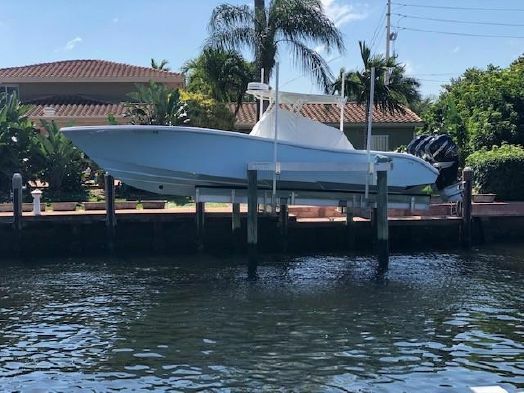 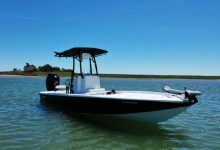 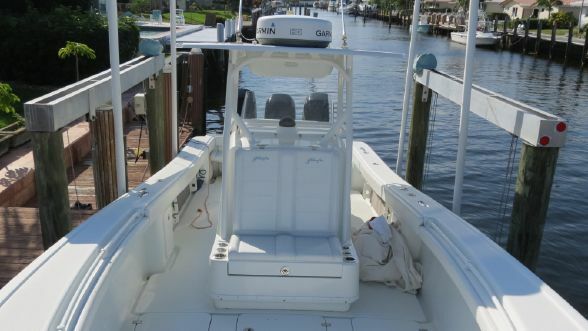 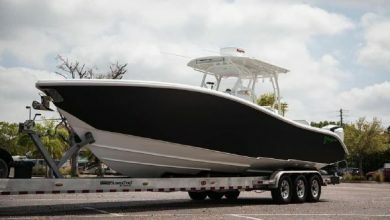 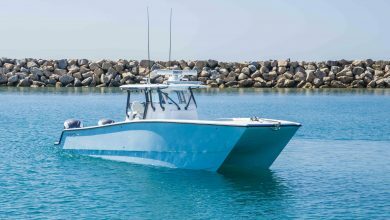 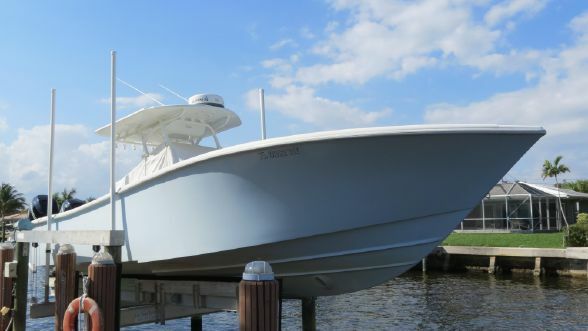 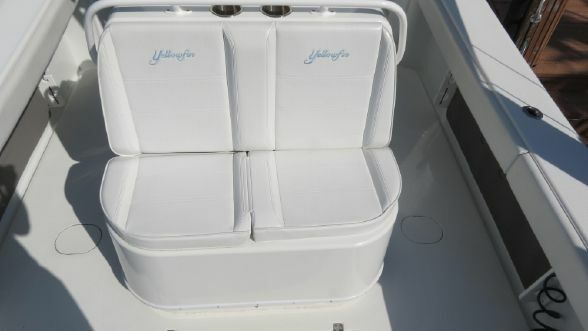 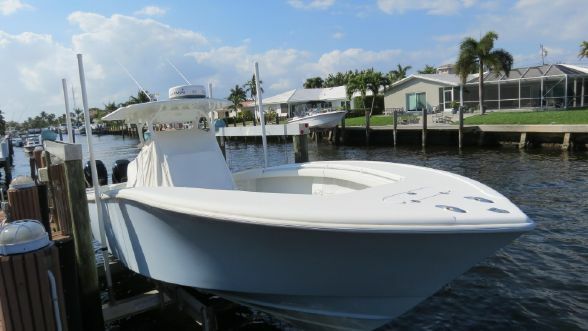 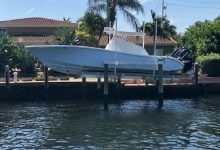 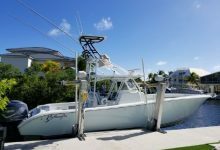 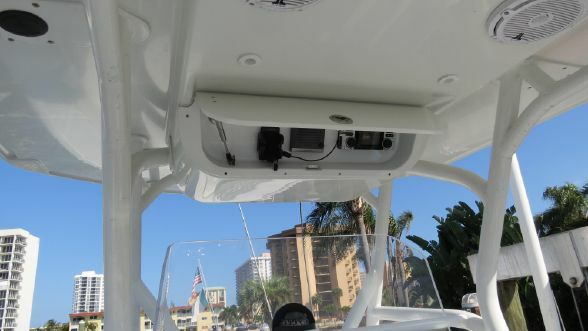 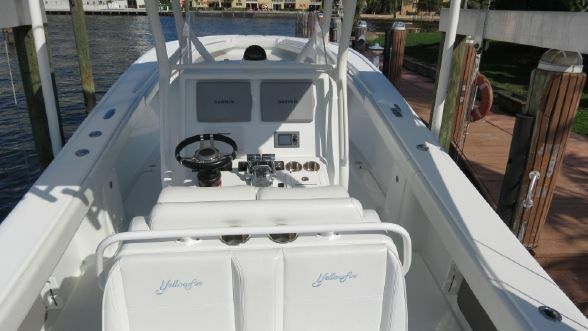 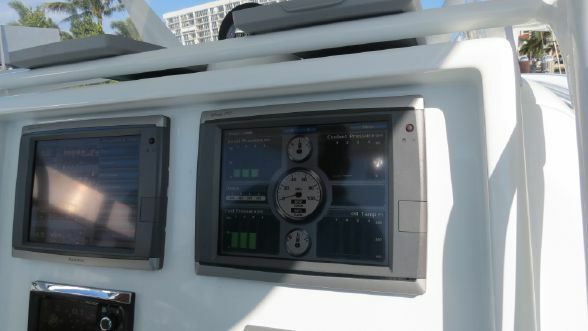 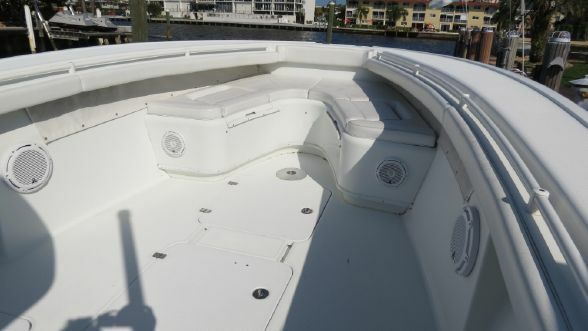 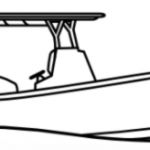 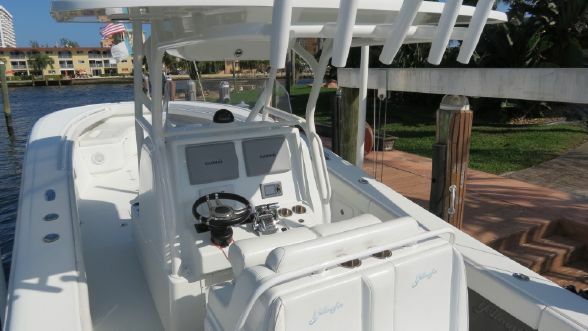 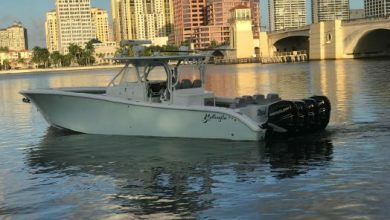 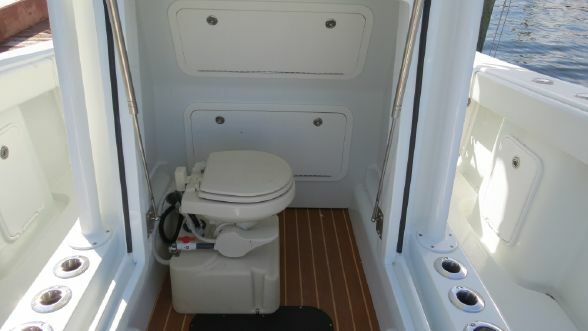 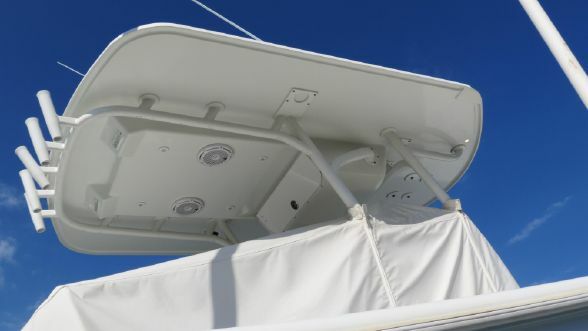 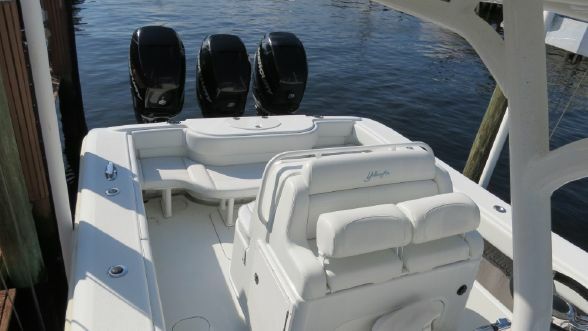 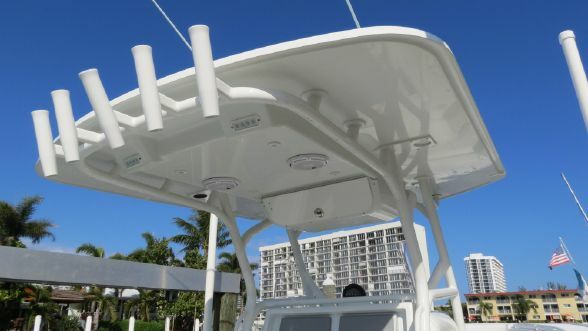 Triple Mercury Verado 300’s,Mercury DST Throttles,Mercury System View 7,Tilt Helm,Trim Tabs,Dual Garmin 7212,Garmin GMR-24 HD Radar,Garmin GDS-22,Garmin VHF 300,C-Zone Switching,JL Marine Speakers & Amplifiers,Battery Charger,Dual Livewells,Removable Aft Seat,Marine Head,Helm Seat & Console Cover,Myco Triple Axle Trailer,Please call for details….